RALEIGH, N.C. (AP) — Gov. Roy Cooper and legislators have honored the North Carolina A&T State University football team for another championship season. TOLEDO, Ohio (AP) — The Rev. Jesse Jackson says General Motors should sit down with its workers in Ohio who say they've been facing ongoing racial harassment, including finding nooses inside the plant. Jackson visited Toledo on Tuesday to talk with the workers and community leaders. A group of GM workers have filed a pair of lawsuits against the automaker, saying the company hasn't done enough to stop the harassment at its Toledo transmission plant. HOOVER, Ala. (AP) — What exactly happened inside Alabama's largest shopping mall on Thanksgiving night when police shot and killed a black man, sparking weeks of protests? That question remains unanswered more than two weeks later. BIRMINGHAM, Ala. (AP) — A forensic examination shows a black man was shot three times in the back side of his body when an Alabama police officer mistook him for the shooter after gunfire erupted at a crowded shopping mall, the man's family said Monday. The results of a report commissioned by the family are "devastating" to relatives of Emantic "EJ" Bradford Jr., their lawyer, Ben Crump, said at an emotional news conference. 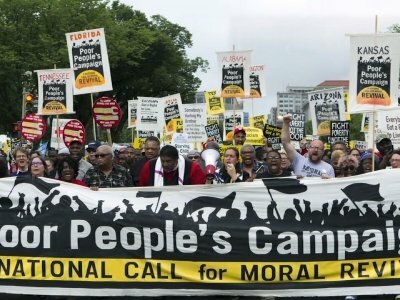 CARTHAGE, N.C. (AP) — As the Poor People's Campaign launches a new initiative, its charismatic leader is working with the generation of civil rights leaders who stood by the Rev. Martin Luther King's side and continued his efforts to stamp out poverty and racism after his assassination. MEMPHIS, Tenn. (AP) — Former Vice President Joe Biden, civil rights leader the Rev. Jesse Jackson and philanthropist J.R. "Pitt" Hyde III are this year's recipients of the National Civil Rights Museum's Freedom Awards. 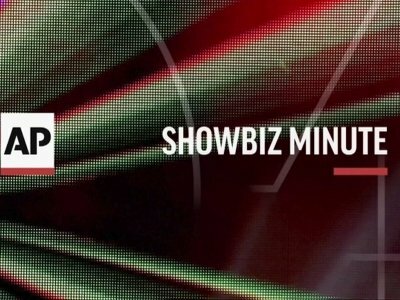 The Memphis, Tennessee-based museum announced in a news release Thursday the winners of its annual awards honoring civil and human rights leaders. SAN BERNARDINO, Calif. (AP) — The Rev. Jesse Jackson has urged that a Southern California gang prosecutor be disbarred for crude and profane social media posts about U.S. Rep. Maxine Waters, former first lady Michelle Obama, Mexican immigrants and the victim of a police shooting. CHICAGO (AP) — The Rev. Jesse Jackson and an activist priest say they'll stage a protest that will shut down part of a busy interstate in Chicago despite warnings of arrest from police. Roman Catholic Priest Michael Pfleger has been planning the Saturday morning march to draw attention to violence in the city's most impoverished neighborhoods. CHICAGO (AP) — The day after boxing great Jack Johnson was pardoned by President Donald Trump, his great-great niece went to his gravesite to mark the end of a decades-long effort to clear his name. During a visit to Chicago's Graceland Cemetery with the Rev. Jesse Jackson, Linda Haywood said Friday the heavyweight boxing champion's place in history is being restored, and he would be proud of her for her efforts. Before Trump, Haywood had failed to convince other presidents to pardon Johnson. CHICAGO (AP) — Attorneys say former U.S. Rep. Jesse Jackson Jr. and his estranged wife have reached a divorce settlement nearly five years after they pleaded guilty to schemes related to the misuse of a congressional campaign fund. 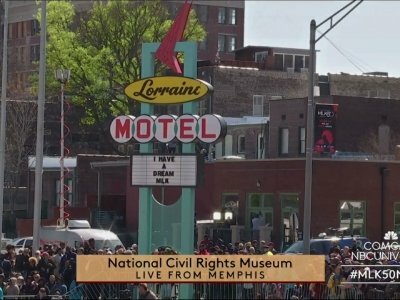 Fifty years ago, a single gunshot at the Lorraine Motel in Memphis, Tenn. changed the course of the Civil Rights Movement. Dr. Martin Luther King was assassinated outside his room on April 4, 1968, surrounded by other civil rights leaders, including Rev. Jesse Jackson. “The bullet hit him and severed his tie and then the bullet when down. I heard someone say ‘get low, get low’ because we thought they were stray bullets. We didn’t know, we were running toward the steps,” Jackson said. The deadly mass shooting that claimed 17 lives at a south Florida high school this month illuminates one of the two issues - violence and poverty - that the Rev. Jesse Jackson believes are the most pressing in America today. The legendary civil rights leader spent a few hours in Houston on Saturday night to address the Houston Community College Black History Scholarship Gala, an annual event. CHICAGO (AP) — The Rev. 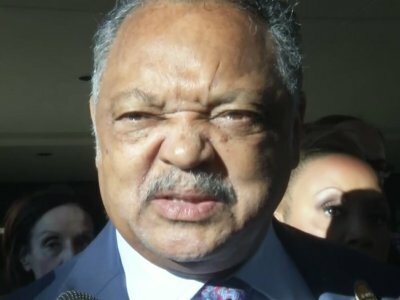 Jesse Jackson said on Monday he's deeply insulted by a Fox News host's "attack" on Cleveland Cavaliers star LeBron James and thanked the basketball All-Star for standing up for what he believes in. Political commentator Laura Ingraham criticized the three-time NBA champion for his recent comments about social issues, suggesting he should "shut up and dribble." James has vowed he won't do that, saying he'll continue to "talk about what's really important." CLEVELAND, Ohio -- Voices and laughter bleed through the closed door of the pastor's office. Then it grows quiet. We can barely hear a man talking and the voice is familiar. Longtime Ebony and Jet editor Lerone Bennett Jr. has died. He was 89. His death was confirmed by the A.A. Raynor & Sons funeral home in Chicago. Black Enterprise Senior Vice-president and Executive Editor-at-Large Alfred Edmond Jr posted his condolences to Bennett’s family on Twitter. Bennett was the author of Before the Mayflower: A History of Black America, 1619-1962 and Forced into Glory: Abraham Lincoln's White Dream. CHICAGO (AP) — Lerone Bennett Jr., an African-American history author and former editor of Ebony magazine, has died at age 89. MEMPHIS, Tenn. (AP) — The Rev. Jesse Jackson has joined clergy and faith leaders at a conference honoring the 50th anniversary of the sanitation workers strike that brought civil rights leader Martin Luther King Jr. to Memphis. The Samuel DeWitt Proctor Conference started Monday and runs through Thursday in Memphis, where King was killed while supporting workers seeking safer working conditions and better pay. RALEIGH, N.C. (AP) — The North Carolina A&T State University football team has been lauded by members of the General Assembly for an unforgettable season. The House and Senate passed a resolution Thursday with Aggies players, staff and the school chancellor in attendance. They honored the Greensboro university for its undefeated record and Celebration Bowl victory in December that crowned the Aggies with their fourth Historically Black Colleges and Universities national championship. CLEVELAND, Ohio -- Longtime civil rights activist the Rev. Jesse Jackson on Friday chastised President Donald Trump for comments about some immigrants to the United States. 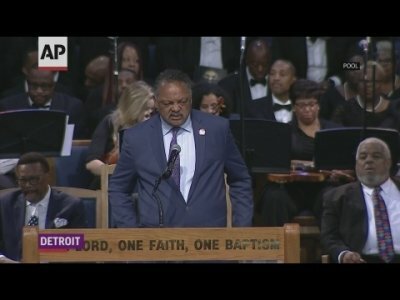 "The language of Donald Trump has been a source of shame for out nation," Jackson said before a Friday evening event at the Greater Abyssinia Baptist Church in Cleveland. "Humiliation and untruth." A prominent figure in the modern American civil rights movement is scheduled to preach Sunday at a north Minneapolis church. The Rev. 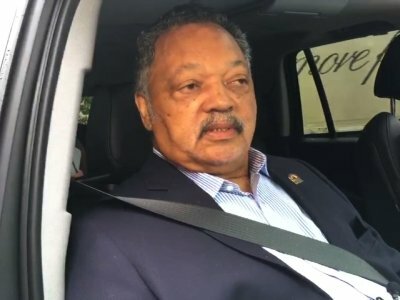 Jesse Jackson, who marched with Martin Luther King Jr. and later ran for president, will be the guest preacher at New Salem Missionary Baptist Church. New Salem pastor Jerry McAfee said Jackson will preach at the 11 a.m. service at the church, located at 2507 Bryant Avenue N.
CHICAGO (AP) — For more than 50 years, the Rev. Jesse Jackson has been in the public eye as an activist, a two-time presidential candidate and a guiding force in the modern civil rights movement.